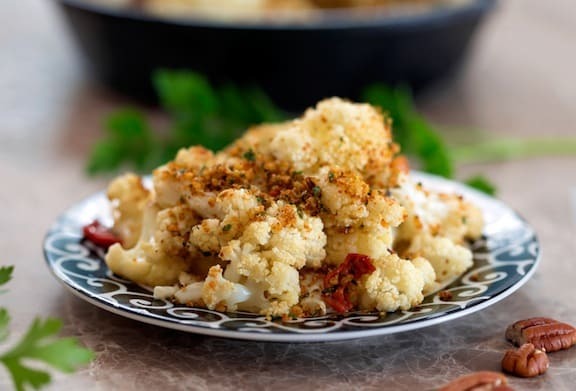 Cauliflower with Parsley-Pecan Breadcrumbs makes for a comforting duo. In this nourishing and substantial side dish, pecans and lots of parsley add a major yum factor to the crumb topping. 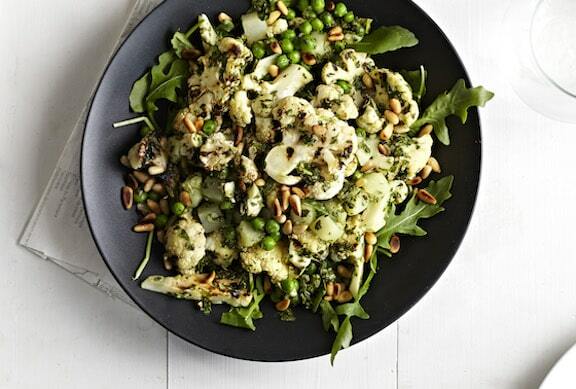 If you want Pesto Cauliflower and Potato Salad to be a more substantial pesto entrée, replace half or all of the cauliflower with pasta, preferably those tight little twists called gemelli. 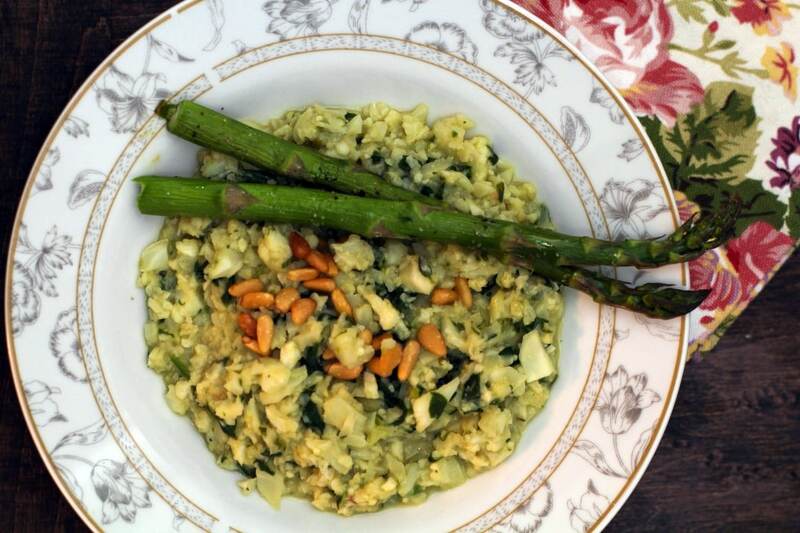 Cauliflower Risotto is great with a side of roasted asparagus (chopping it and stirring it in is also an option) but you can easily adapt this risotto with ingredients you have on hand; add mushrooms, peas, tomatoes, basil, or other veggies and herbs you may be craving. 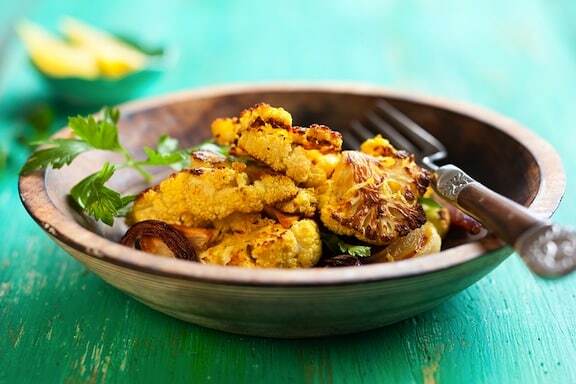 Curry and lemon give an offbeat flavor and vivid color to this Golden Roasted Cauliflower dish. Red onion and garlic add depth of flavor. Use on its own as a tasty side dish, or toss with pasta or grains. 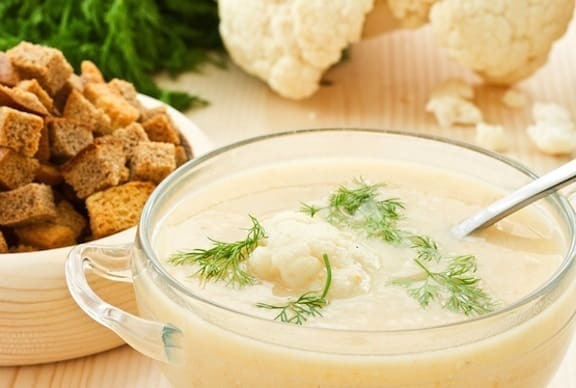 This dairy-free Cream of Cauliflower Soup, enhanced with any of the garnishes recommended, makes a soothing introduction to a meal. It’s great with veggie-filled wraps and main-dish salads. Try this Raw Tabbouli as is or with the optional variations listed with the recipe. Serve with hummus (ready-made or homemade), fresh pita, and stuffed grape leaves for an easy meal. Once you have some rice cooked, this sturdy, aromatic Cauliflower Rice Pilaf comes together quickly. 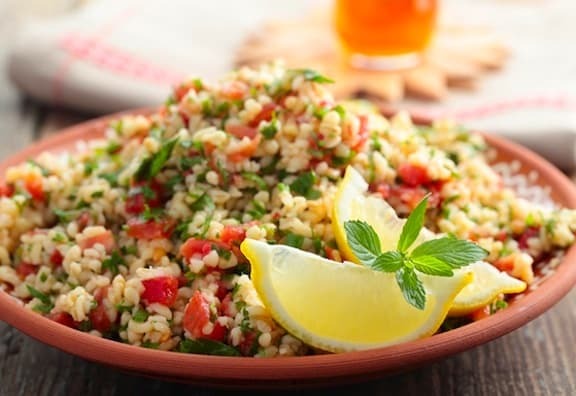 For a nice meal, serve with Lentils with Greens and Sun-Dried Tomatoes and a simple salad. 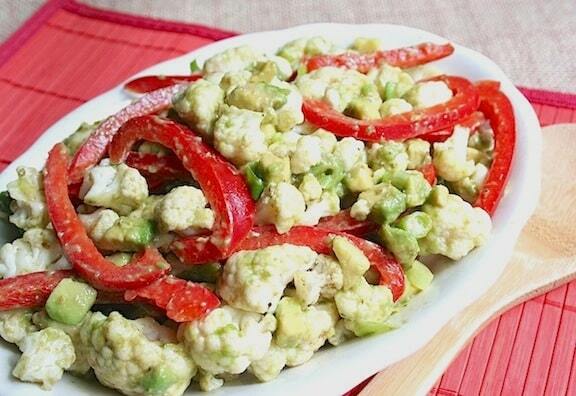 Cauliflower and Avocado Salad might seem offbeat, but they are a compatible duo. They add up to a delectable cold dish that goes well with spicy main dishes—chilies, curries, and the like. 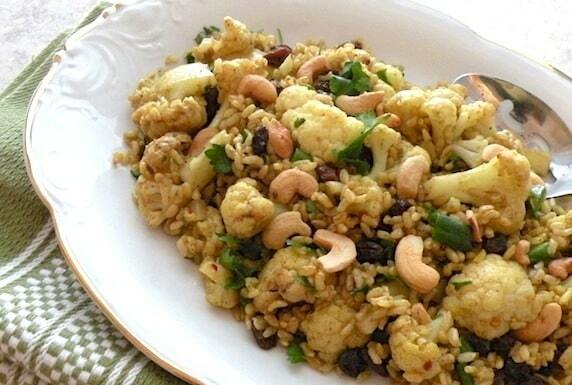 Click here for more cauliflower recipes. For lots more features on healthy lifestyle, explore VegKitchen’s Healthy Vegan Kitchen page. These all sound fantastic! I am sharing these on Pinterest.